Fake Facebook Profiles « I Don't Fear The Chaos! Over the past year I’ve become very adept at using Photoshop! It’s always fun inventing pics or situations you’d most likely never see in real life. The picture above I created using Photoshop, just for a laugh really and to wind a friend up of mine who despises Facebook. So, I’m going to start creating a few fake profiles for Facebook that you’d never see in real life. 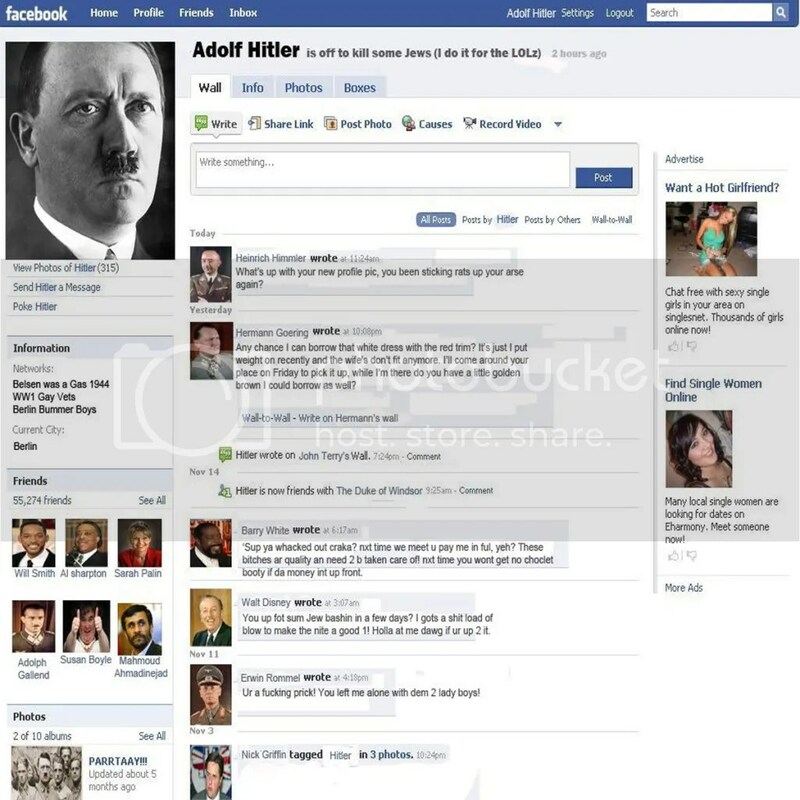 You try finding an Adolf Hitler profile on FB, you’d be hard pressed to find one, and even if you did it wouldn’t be there for long! So starts another new category! Also, read and look closely at every new entry, there’s some funny stuff in there you’d miss if you just have a general glance.